Standing in front of the gym mirror, you feel proud of yourself. This time last year, you promised yourself you would drop some weight. You’ve been working really hard at the gym, changed your diet and feel amazing. But as you’re getting changed, the feelings of elation turn to frustration and embarrassment. With tight clothes on your body looks great, however in everyday clothes, you can see flabby bits in the wrong spots. You’re working out as hard as you can and eating really healthy food. So what can you do about it? Liposculpture can improve your body shape and proportions so you look as good as you feel. Liposuction is exactly the same as liposculpture. It is an invasive cosmetic surgical procedure that improves your body proportions and contours by removing fat cells between the skin and underlying muscles. It is important to note that some body areas respond to liposculpture better. Areas like the outer thighs (with firmer skin) will respond better to this procedure than the inner thighs, where the skin is normally looser. What types of people are suitable for liposculpture? The best candidates for liposculpture have a reasonably normal weight but have excess fat in specific body areas. People who have firm, elastic skin will achieve better final contour results after liposuction. Patients with skin tone that has been diminished due to stretch marks, weight loss, or natural ageing sometimes find that their skin does not reshape to the new contours. If this happens, additional surgery may be required to tighten and remove excess skin. When is the best time to get liposculpture? It is important to note that liposculpture is not a surgical procedure to lose weight. If you are extremely overweight, your Cosmetic Surgeon may advise you to lose weight before having the liposculpture surgery. Being slightly overweight can be beneficial because the fat layer is easier to remove. Some people choose to have a liposculpture procedure performed when they are younger. While younger skin has more elasticity and the recovery can be better, people of all ages can have this surgery. What happens during the liposculpture procedure? There are different techniques for liposculpture procedures including suction-assisted lipectomy surgery, ultrasound-assisted lipectomy and tumescent liposuction. Your Cosmetic Surgeon will tailor the liposculpture procedure for you. Suction-assisted lipectomy surgery (called SAL) is performed by using a hollow metal surgical instrument known as a cannula that is inserted through small skin incisions. The cannula is attached to a vacuum source, which provides the suction needed to remove the fatty tissue as it passes back and forth through the areas of fatty deposits. Your Cosmetic Surgeon may choose the technique known as ultrasound-assisted lipectomy where a special cannula that emits ultrasonic energy to break down fatty deposits. It is possible to have a combination of suction-assisted lipectomy and ultrasound-assisted lipectomy. The tumescent liposuction technique can reduce discomfort at the time of surgery, blood loss, and post-operative bruising. This involves the infiltration of fluid containing dilute local anaesthetic and epinephrine (adrenaline) into areas of fatty deposits. Pain after liposculpture is normal and can require prescription medication. It is normal to feel uncomfortable for a few days, however pain medication relieves this. To control swelling and promote healing, you will need to wear support garments and dressings. Compression garments are absolutely essential in achieving safe liposuction, and to achieve the best results. Find out more facts about liposculpture here. What is recovery like after having liposculpture? It is important to note that recovery from liposculpture will vary from person to person. While you will see immediate results after surgery, the swelling and bruising will take weeks to resolve. Due to the swelling, you may experience weight gain. This will resolve itself over time. Most liposculpture patients see the best results 6 months after the procedure, with improvements continuing for up to 12 months. After the liposculpture procedure, you will need to wear a compression garment for 24 hours a day, 7 days a week. Most liposculpture patients need to wear this for at least 7 days. To absorb the fluid from the incisions, there will be pads inside the compression garment. These will need to be changed regularly. It is recommended that you take at least a week off from work and your regular routine. To prevent swelling and blood clots, it is recommended that you take regular gentle walks. You will need to avoid heavy exercise or strenuous activities for at least 2 to 3 weeks. 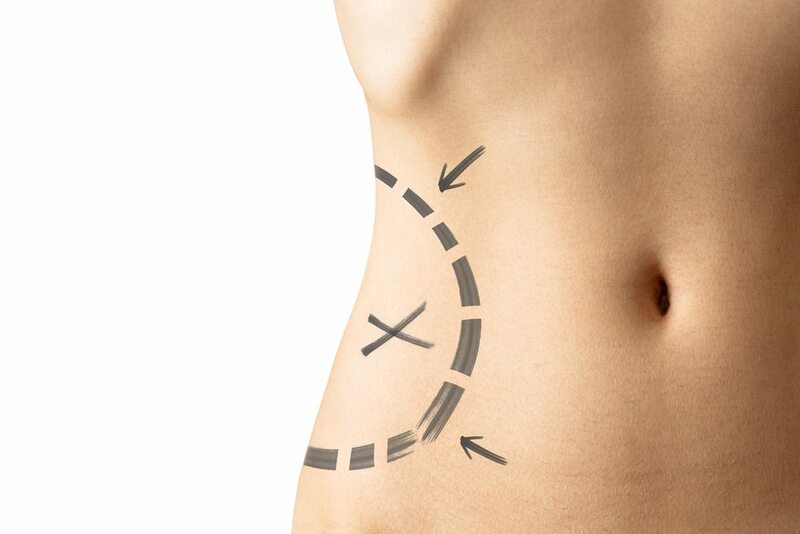 The liposculpture procedure will leave small incisions that will be less than 1cm long. Over the course of a year, these incisions will go through a scarring maturation process. When the scar matures it becomes pale, soft, flat and less noticeable. Are there risks or complications with liposculpture surgery? If you’re fed up with your body shape and proportions, liposculpture surgery may be a good option. We suggest you make a short list of surgeons, and have multiple consultations before you select one. With any elective cosmetic surgery procedure, the most important factor in choosing a surgeon is experience. Find the best Liposculpture Cosmetic Surgeons in Australia here.